was held on Sunday, 16-December, 2018.
was held on Tuesday, 18-December, 2018. Here are some graphs made from data collected locally over the years. Click on a file to enlarge it. Both graphs are PDFs and can be downloaded (Just "right-click" and "Download Linked File" or "Download Linked File As"). 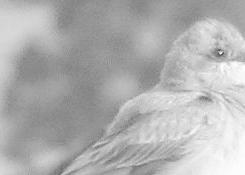 This first one shows some common migrants. Shaded rectangles represent times that species is present in our area. The species appear in taxonomic (evolutionary) order. The upper part of the chart shows birds that breed in the Embudo-Dixon area. The lower part of the graph shows transients that pass through our area, but will continue on to breeding grounds further north. The second graph shows the same information, but is ordered by arrival time. This one portrays the flow of the migration wave as it reaches us. Most of these migrants have spent the winter in Mexico or Central America. 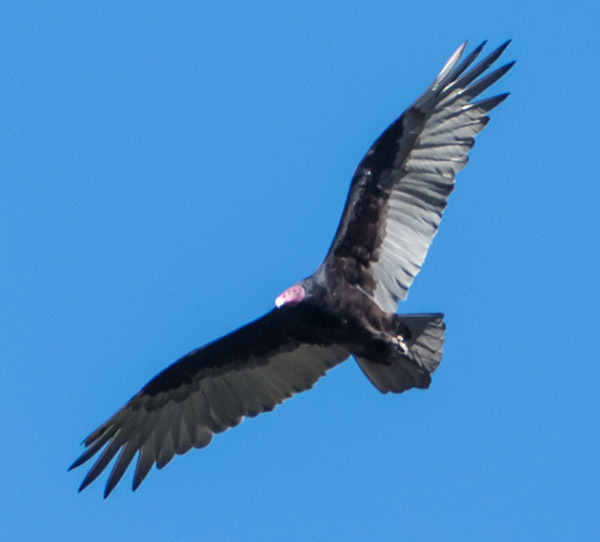 Our longest distance migrant is the Turkey Vulture. The subspecies of Turkey Vulture that spends the summer, here will be returning from their wintering grounds in Venezuela and Columbia. Spotted Towhee Singing this Spring. For a number of years there has been a Spotted Towhee singing right outside my front door during the breeding season (Spring into summer). Perhaps it is the same individual, though there is no way for me to know that. Spotted Towhees are present in this location in all seasons, but their numbers are reduced during the winter, when some of them migrate south and southeast. 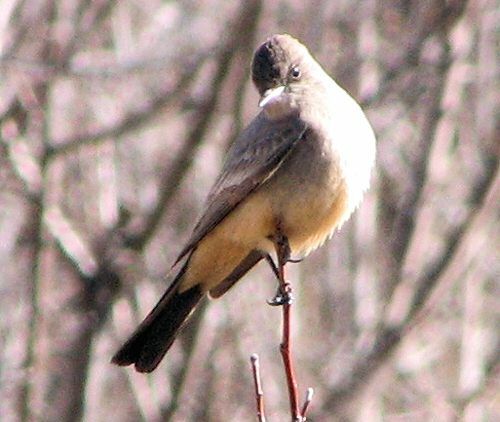 Whether this singer stays here year-round or just arrived after wintering somewhere else is not known. At any rate, the Towhee's song, which starts up in March is a clear sign that spring is right around the corner. The song of the Spotted Towhee is sometimes given as: Chup Chup Chup Cheeeez..." with the "Cheeeez" representing a trill after the opening "chups". The pitch of the trill can be lower or higher than that of the "chups" (in this case, the pitch is higher). If you listen around town in the coming weeks, you are bound to hear this song. Of the 111 Species that have been recorded on the Dixon CBC, just 32 of those species account for more than 95% of the individuals counted. 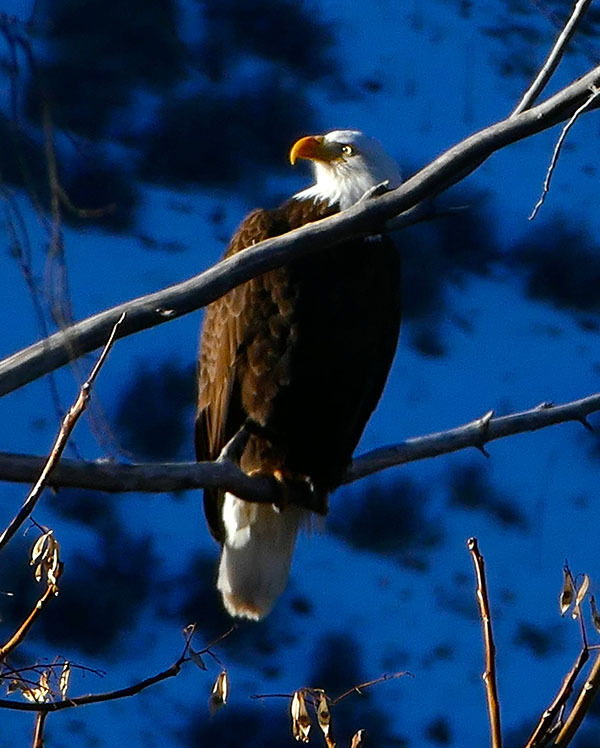 The learning begins with those species that are seen every year. Many of these are very common species. Once those are mastered, one can move on to the species less likely to be seen. Five different exercises for using the materials are described. You may know more than you think! Click Here to get started. A set of tools to help you learn the local birds. A collection of lists with photos, range maps and other resources, grouped by season. Within each season, the lists begin with the most common and familiar species, then move to the less familiar. Read about the Seasonal Timing. Who Is Arriving, When? 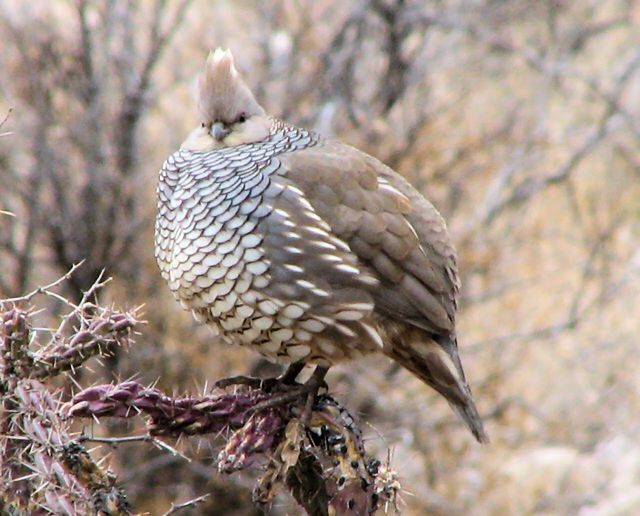 I have been paying close attention to the presence of bird species in the Embudo area for more than 20 years. I have pulled together all of my records and consulted other sources such as records from eBird to come up with some preliminary "first" and "last" dates for the summer residents and transient species. The graphs are from downloadable PDFs. (Click to display in the browser, right click to download.) Both files show arrival and departure information for the Common and Less Common species in our area. 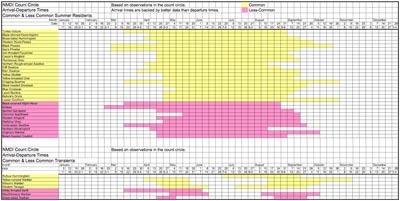 The first file shows the approximate time period that each species is present in the Embudo area. 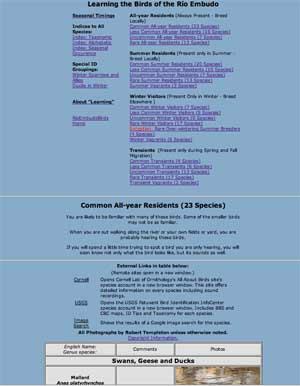 The second file is the same information, but ordered by the arrival date for each species. Another entry discusses a Migration Fallout the morning after a midlle-of-the-night snow storm last may. The storm forced down migrants flying at night. Usually seen in agricultural fields, you may hear its plaintive down-slurred "pee-your" or if you are close enough "pit-pee-your". This species often nests under portales and in carports. Look for it on fences flying out in small circles to grab an insect before returning to its original perch. 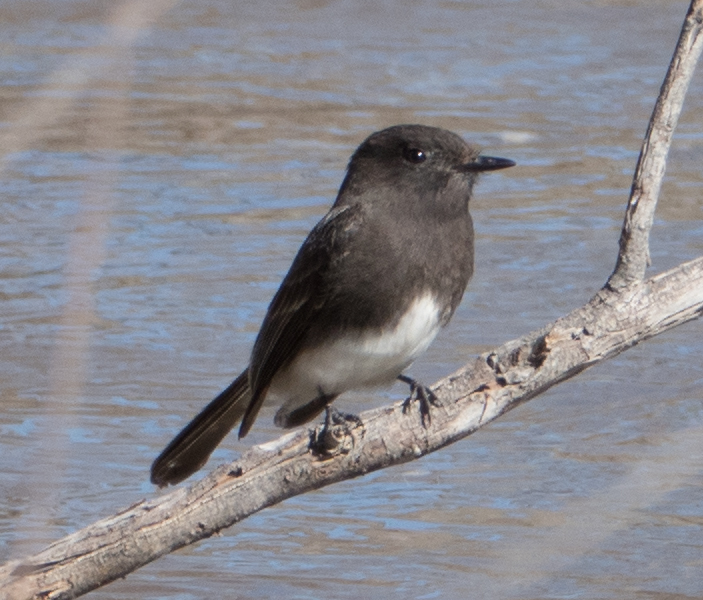 Unlike the Say's Phobe, the Black Phoebe is associated with water, regularly perching on low branches a foot or two above the water. It makes its living "hawking" insects above the surface of the river. The group of 20 or so Turkey Vultures that spend the summer in Dixon always arrive by April 1st each spring. The common western sub-species of Turkey Vulture (Cathartes aura meridionalis) are long-distance migrants. The majority of them migrate all the way to the northern part of South America, wintering in Colombia and Venezuela. Others stop short in Panama. This Turkey Vulture was over Dixon on September 13, 2016. Each year, the vultures leave before October: Without radio-tagging some of the local vultures, there is no way to know exactly where this particular group goes in the winter, but is highly probable that they make the long trek to Colombia and Venezuela. Copyright 2006-2019 by Rio Embudo Birds.org --- All rights reserved.